In the final game of their seven-game road trip, the Colorado Avalanche beat Central Division foe Winnipeg by the score of 4-1. The win was in many ways the most important victory of the trip, which ended with four wins and three losses. Not only did Colorado secure a four-point swing with Winnipeg, who sits above them for sixth in the division, it showed signs of consistency that could be promising for the future. For the first time in several games, Colorado put together a complete effort and was able to score four straight goals after being down by one at the end of the first period. 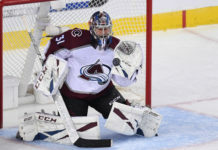 The storyline for the Avalanche going into the game was the return of starting goaltender Semyon Varlamov from the injured reserve list. Varlamov’s groin has been problematic for years and the six-game break gave him some time to rest the nagging injury. He returned looking like the Vezina Trophy candidate from 2013-14, the same season he played a career-high 63 games. His play has been shaky at times this season, but if Varlamov’s play can be consistent with the non-injured 2013 Varlamov, much like it was on Monday night in Winnipeg, the Avalanche may have found what they need. When Varlamov is the team’s best player, the Avalanche are at their best and winning games. An important part to Colorado’s recent success has been their ability to get shots. To start the season, the Avalanche were getting drastically beat in the shots category, a big reason they struggled to score goals and win games. In the latest seven-game road trip, Colorado managed to win the shot count five times and score three goals or more six times. By winning the shots category and creating scoring chances as they did in Winnipeg, the Avalanche seem to have figured out how to maintain a consistent offense despite dealing with a couple of injuries up front (Alex Tanguay – knee, John Mitchell – oblique). Divisional games are going to be the biggest factor in the Avalanche’s attempt to climb in the standings. So far, having only played three games within the Central Division they are 2-1, with 25 divisional games remaining. Each Central Division regulation win creates a difference of four points between the two teams playing. By continuing to play exceptionally well within their division, the Avalanche have the opportunity to gain a lot of ground in the standings. 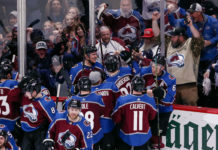 They will need a fair share of wins outside the division as well, but those do not have such a direct impact on where the Avalanche sit within their division. 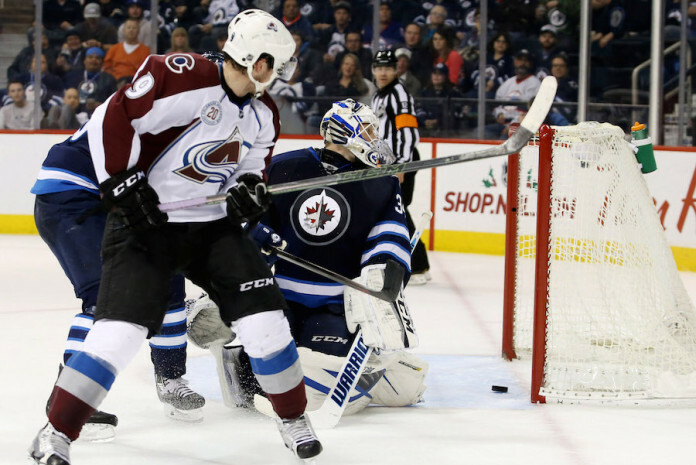 The win against Winnipeg should be the standard for the Colorado Avalanche. The Avalanche will have to duplicate what they did against the Jets in order to regain relevance. Strong goaltending, a potent offense and divisional wins are the recipe. 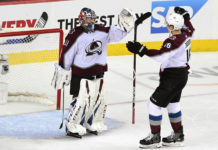 In the upcoming schedule the Avalanche return home for a quick two-game stand starting Wednesday against the Ottawa Senators, then Saturday against the Winnipeg jets again. They will then begin a four game road trip starting on the East Coast playing the Islanders, Devils and Rangers before finishing in Minnesota.